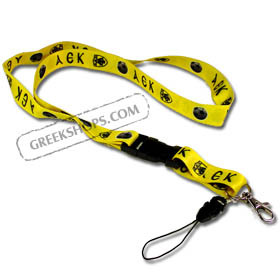 Show your pride for your favorite Greek sports team by wearing this deccorative AEK lanyard. Two optional fastners at the end make for useful hands-free carrying of keys, cell phone, or anything else that would otherwise fall out of a pocket. A "must-have" for AEK sports fans!